Rent it for $85/day (plus tax & Damage Waiver) ……………………….. …………………………………………………………. 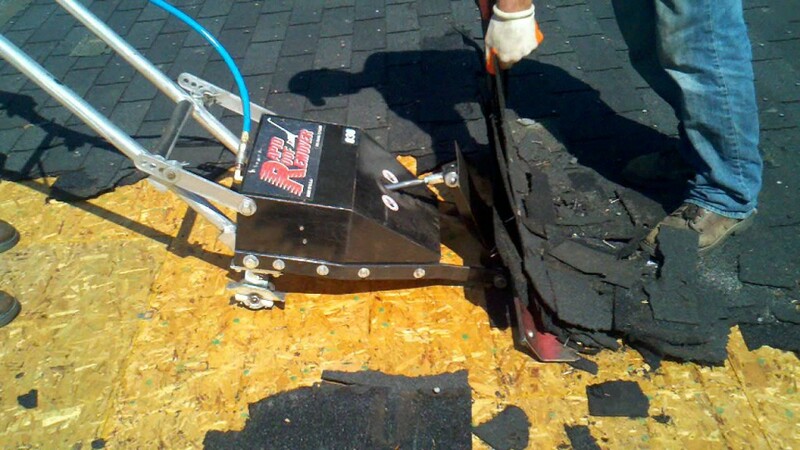 The Rapid Roof Remover is a lightweight, pneumatic tool for shingle removal as well as removal of various types of flooring. 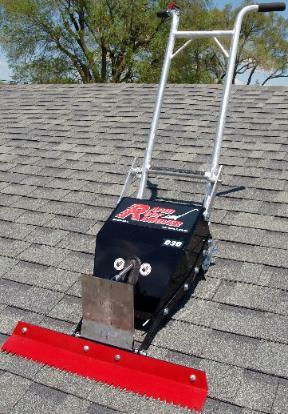 This patented, AMERICAN-MADE machine is powerful enough to remove up to five layers of shingles with fasteners in a single pass; greatly increasing productivity with less physical effort, time and manpower.